We really do owe a lot to Charlie Brown. Charlie Brown taught us that losers can, in fact, be lovable. He taught us that dogs really are a man's best friend. But above all, Charlie Brown taught us that commercialization ruins everything. In a world where adults were rarely seen nor heard, Charlie Brown and his friends welcomed readers and viewers alike into their world of underdogs and youthful freedom. But the preaching of anti-authority seems pretty ironic when you take a closer look at Peanuts history. While most were distracted by the heartwarming tales and intelligent connotations in the Peanuts narrative, the gang was selling out to big corporations for mounds of cash. Some of the most memorable Peanuts moments centered around the group grounding themselves in their morals, shaking their lives of materialism, and realizing Christmas isn't about what's under the tree, but who's around it—which makes their commercialist history all the more interesting. The success of the Peanuts comics took off quickly, and naturally, many companies wanted to take advantage of it. Charlie Brown didn't teach us that commercialization was bad. He taught us that even cartoon kids need a meal ticket. When it comes to advertising, companies like Ford rarely miss the mark; which is why in the early sixties, the motor company decided to piggyback off the huge success of Peanuts to sell their '61 Falcons. The commercial features a conversation between Linus, Pig Pen, and a narrator—all of whom are excessively admiring the Falcon. Linus mentions that other compact cars "always miss the boat", and when told more about the added options of the car Pig Pen excitedly asks "you get a choice of engines?" Linus is quick exclaim that "you have to admire their generosity". It seems that promoting the Ford Falcon wasn't a quick and easy way to make money during the early years of Peanuts fame; instead, the commercial kicked off even bigger partnerships between the characters and advertisers. The Peanuts Ford commercial predates the famed Christmas special A Charlie Brown Christmas—a special that is particularly critical of big corporations taking over holidays. Coke and peanuts—one of the most delicious Southern snacks, and one of the most profitable partnerships in television history. Though the traces of this odd pairing have vanished entirely from TV screens, one of the most famous television specials of all time stems from Coca-Cola roots. It is believed that the most beloved Peanuts special of them all, A Charlie Brown Christmas, would have never happened had the show not been backed by the Coca-Cola. The big name company was intent on sponsoring a Christmas production and ultimately landed on Peanuts to follow through with their vision. And so in 1965 the special—sponosred by Coca-Cola—was released. And of course, sponsorship rarely slides by without recognition. 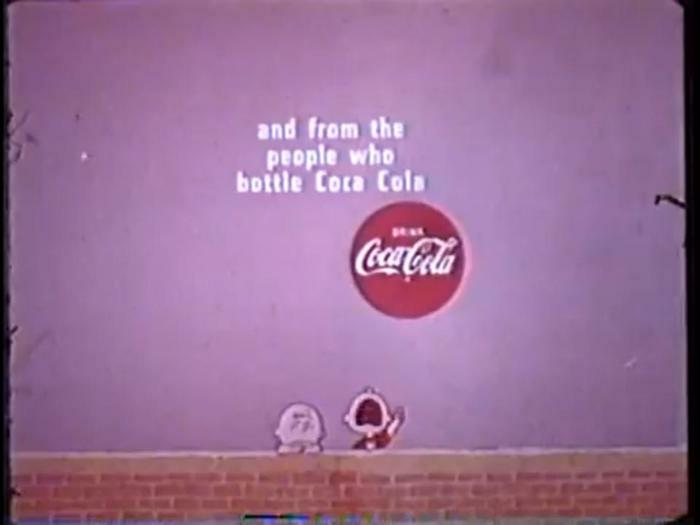 During original airings, the opening credits of the special often showed some kind of nod to Coca-Cola, which even included one where Snoopy tosses Linus straight into a sign advertising the product. 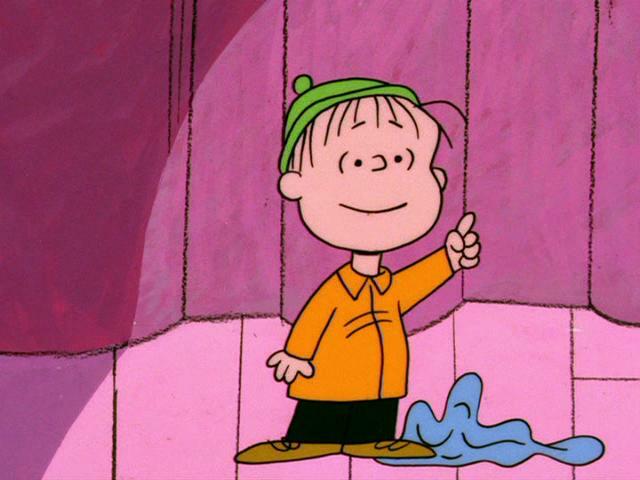 Ironically, Linus is the character who famously delivers the speech on the true meaning of Christmas toward the end of the special. Funny enough, the storyline of A Charlie Brown Christmas is the greatest example of a Peanuts narrative heavily focused on traditional values, the religious origins of the holiday, and specifically anti-materialistic ideals. The tone is set at the beginning of the episode, when Charlie Brown is feeling depressed because he is having trouble understanding the meaning of Christmas underneath all of the commercialization that engulfs the season. The sponsorship agreement between Peanuts and Coca-Cola has long been expired and so nowadays the sign at the beginning of the special simply reads 'Danger'—maybe this word choice was not arbitrary, but instead a warning against letting big-name brands take over the holiday season. Similarly, the beloved It's the Great Pumpkin, Charlie Brown was also sponsored by Coca-Cola, with additional sponsorship from Dolly Madison Cakes. But just like its preceding Christmas special, the aforementioned sponsors have since been edited out of reruns and DVD releases of the Great Pumpkin. Peanuts' clearly had nothing short of a strange relationship with advertisers. They simultaneously accepted their money and criticized them publicly as driving forces of their narratives. Needless to say, even the most apathetic, anti-authority characters still need to make a buck somehow. "I won't let all this commercialism ruin my Christmas"